New Delhi, January 27, 2019: When India unfurled the tri-colour to celebrate its 70th Republic Day, nationals from 14 other countries joined millions of Indians to sing the national anthem along with them to mark the historic occasion. They are all wrestlers from Venezuela, Azerbaijan, Belarus, Canada, Ukraine, Russia, France, Colombia, Romania, Hungary, Georgia, Qatar, Moldova and Estonia currently taking part in the Pro Wrestling League (PWL) Season 4. The third leg of the world’s biggest wrestling league is currently underway the Gautam Buddha University Indoor Stadium in Greater Noida. 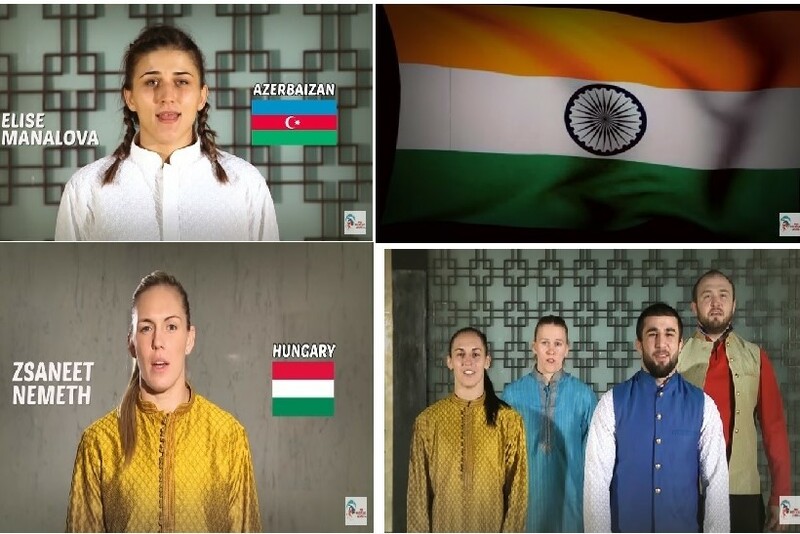 Apart from all top wrestlers of the country including Bajrang Punia, Vinesh Phogat, Sakshi Malik and Pooja Dhanda to name a few, PWL-4 this season has also seen participation of 30 Olympians, of which 11 are medal winners, 16 World Championships medalist and seven continental champions. They were all a part of the Republic Day celebration yesterday.